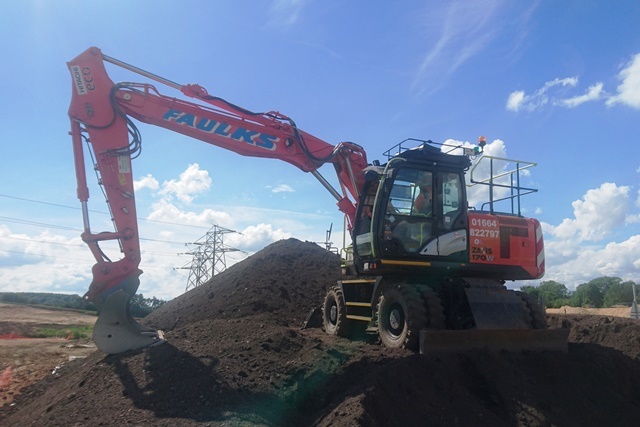 Here at AE Faulks Ltd, we offer a wide range of construction plant hire in Lincolnshire to suit the scale, nature and site conditions of your job. Available on an operated or self-drive basis enables you to find the best solution to suit your requirements. The following guide gives you an overview of our options. These compact machines are the ideal partner for digging on small sites and/or confined spaces in Lincolnshire. Our range includes 1t, 1.5t, 3t and 6t diggers that come with a wide range of bucket configurations and attachments. This equipment is all surprisingly powerful and resilient, so don’t hesitate to find your ideal micro, mini and midi diggers here. 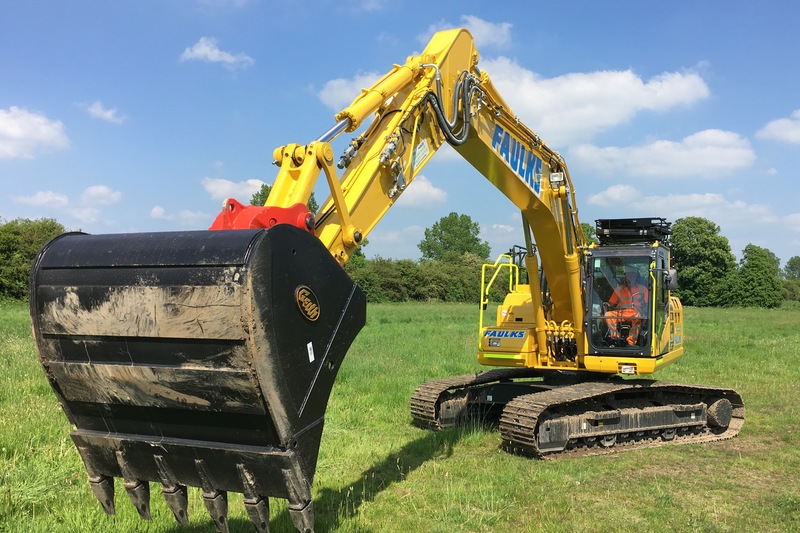 Ranging from 8t to 25t, we can offer a tracked excavator for hire in Lincolnshire to suit just about any project requirement. Available with a range of attachments in either steel or rubber tracks to help cope with any running surface. The combination of powerful digging and reach should make these an ideal fit for the job. Find out more by exploring our tracked excavators page. 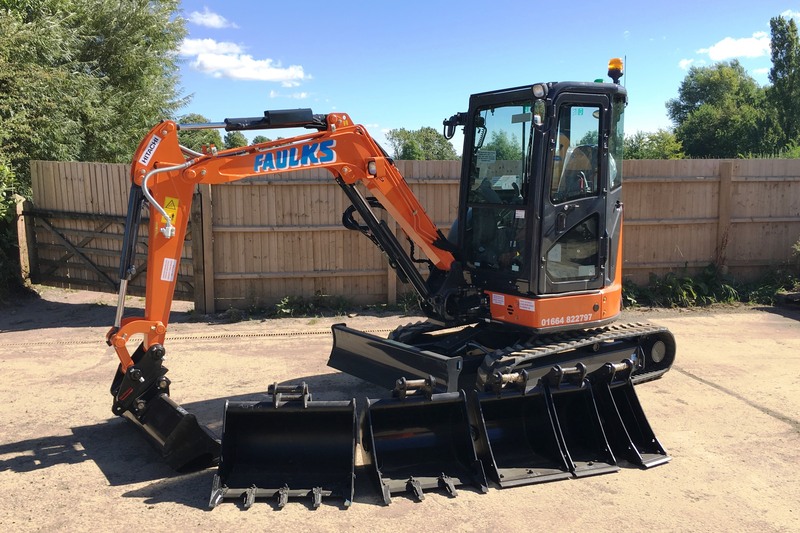 Looking for a wheeled excavator with lots of power, stability and manoeuvrability in the most challenging of conditions then we have a range of 10t to 19t compact to heavy-duty wheeled excavators to hire in Lincolnshire today. 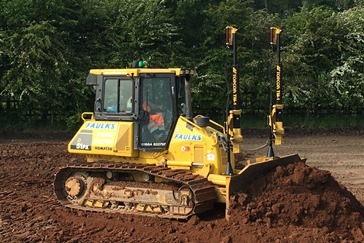 Our dozers boast high reliability and durability, making them an ideal plant option to use in site strips, levelling, shaping and trimming applications. Enabled for 2D/3D and GPS technology these dozers can work far more efficiently and accurately than a standard dozer. The low ground pressure undercarriage also allows these machines to operate in soft ground conditions. 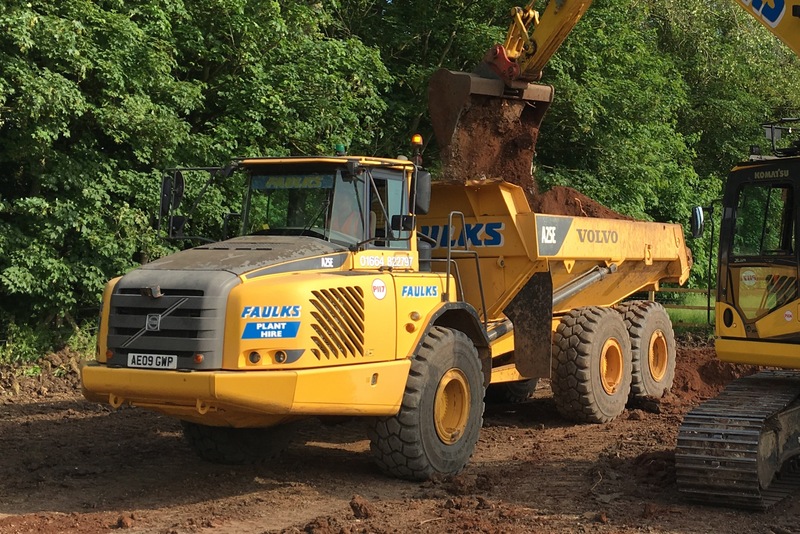 For a dumptruck that makes the work at hand seem less taxing but more safe, smooth and efficient, the Volvo A25E takes on tough applications in extreme haulage conditions on any Lincolnshire site. 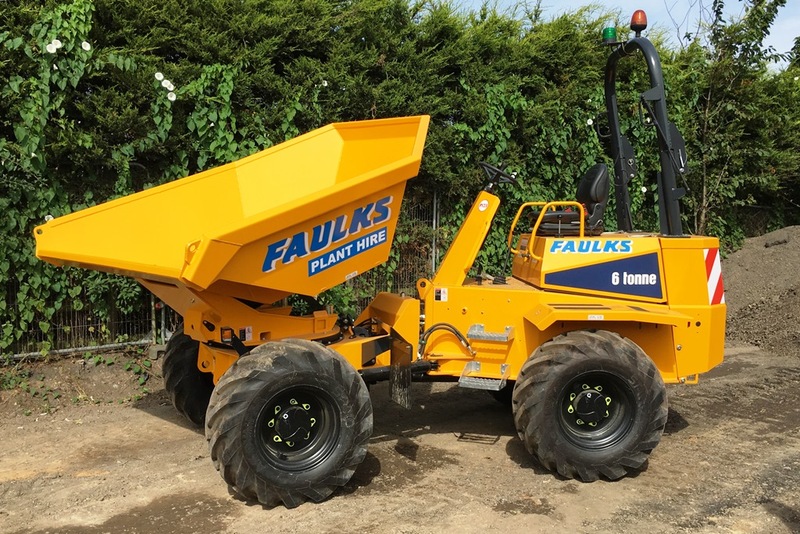 Available from 3t to 9t in size, you can hire one of our compact site dumpers with swivel tip, forward tip and hi-tip options. Take a look at our range to see which model is best suited to your site requirements. 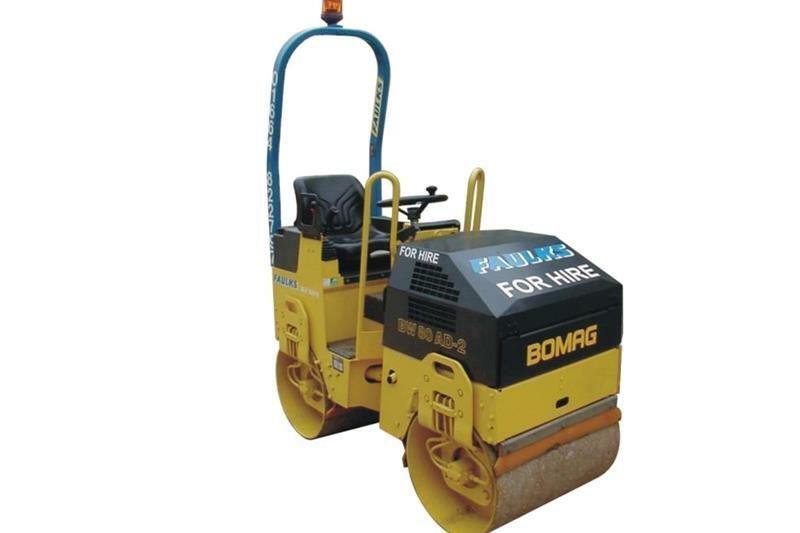 We offer sit-on twin drum compaction rollers that are ideal for use on smaller compaction areas for earthworks, stone laying or tarmac applications. 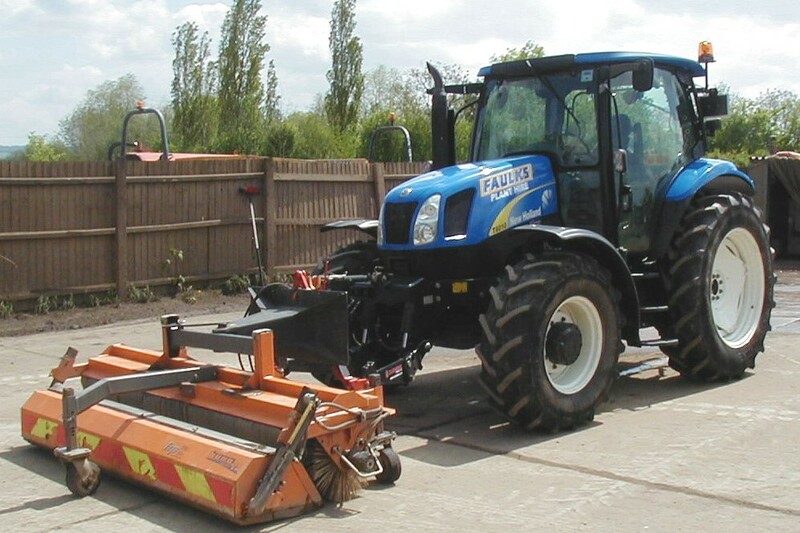 AE Faulks Ltd has a choice of compaction equipment for you to hire in Lincolnshire. Both agricultural tractor models offered by AE Faulks Ltd provide outstanding performance on a variation of terrains; including road and off-road applications. 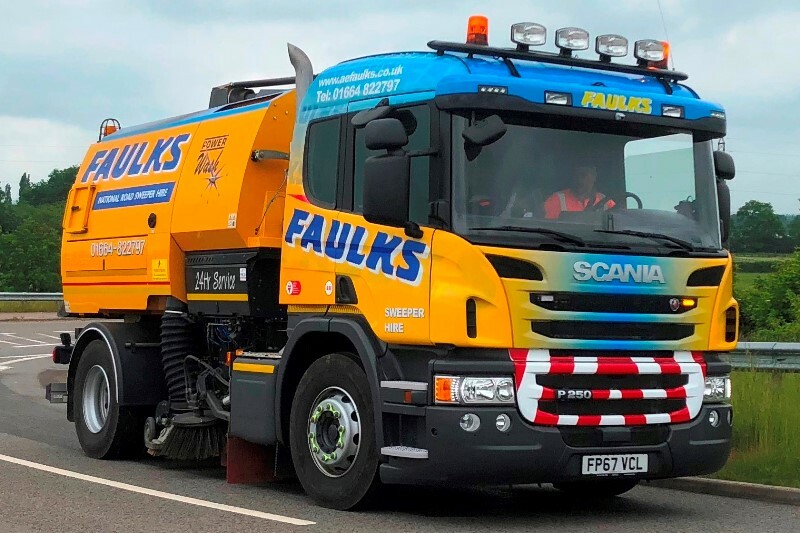 They can be provided with a number of towed or mounted attachments too, such as dust suppression bowser and vacuum tanker hire, so they’re always ready for the job ahead. Whether you need a self-drive tractor and brush or a state of the art operated lorry mounted sweeper, our range of road sweepers for hire is able to cater for a wide variety of industrial and construction jobs. Contact our team to discuss which machine would suit your specific needs on 01664 822797 (option 2) or request a quote online today. 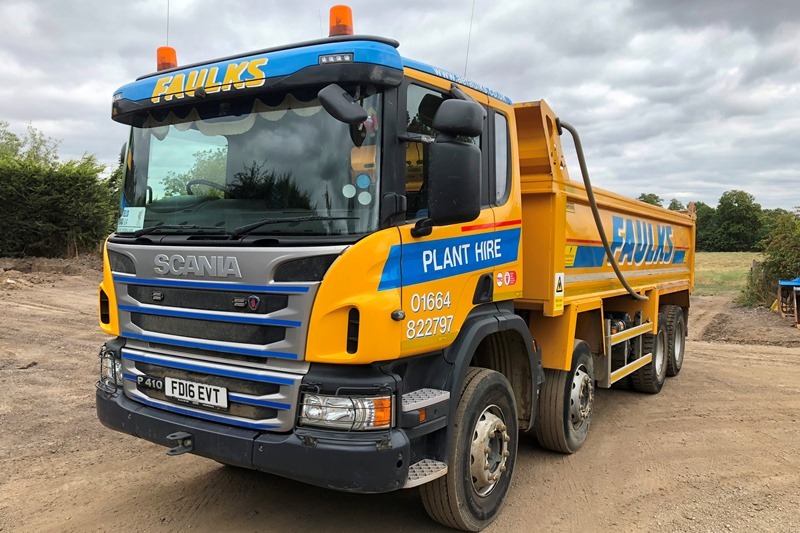 Offering a fleet of modern tipper lorries, boasting the latest safety features and able to handle construction and demolition waste, including solid non-hazardous and hazardous waste, AE Faulks are able to cater to your specific requirements on a contractual or hourly hire basis. Get in touch with our team today on 01664 822 797 (option 3) or request a quote online. We’re happy to provide professional help and advice to aid with your plant hire selection in Lincolnshire. Call our plant hire team on 01664 822797 or complete our quick online quote form to receive a no obligation quote today.